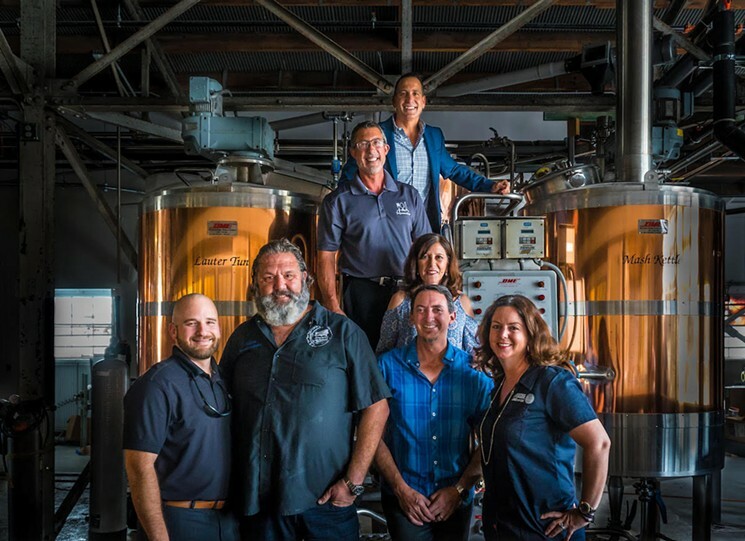 The idea to launch a brewery began in 2013 when the Siegels partnered with Native Brewing founder Adam Fine, now Tarpon River’s head brewer, to manage Craft Beer Cartel. In addition to being a craft beer market and homebrewing center, Cartel at the time was also a nanobrewery faciltiy for test recipes that would later be used for the brewery. When the trio went to TRP’s Tim Petrillo for advice in 2017, they gained a partner. The team originally planned to name their project New River as an ode to the city’s New River, a main artery that travels through Fort Lauderdale, Lisa says. It’s also a name Fine used in 1999. 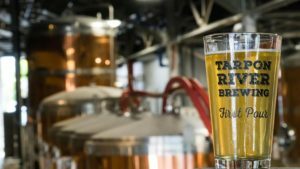 A previously trademarked New River Pale Ale prompted the change — a marriage between Petrillo’s Tarpon Bend and the Siegels’ Riverside Market.